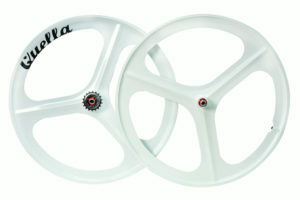 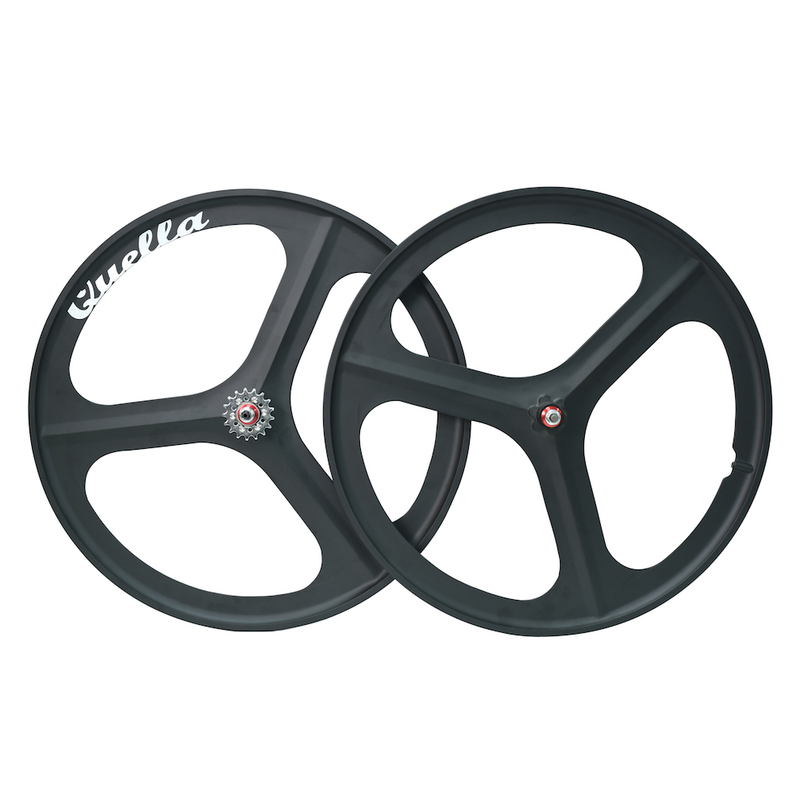 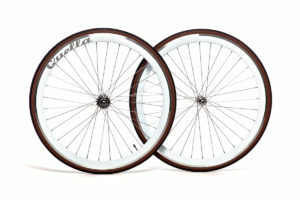 Pimp up the single-speed with these 700c 3 spoke Quella aero mag wheels. 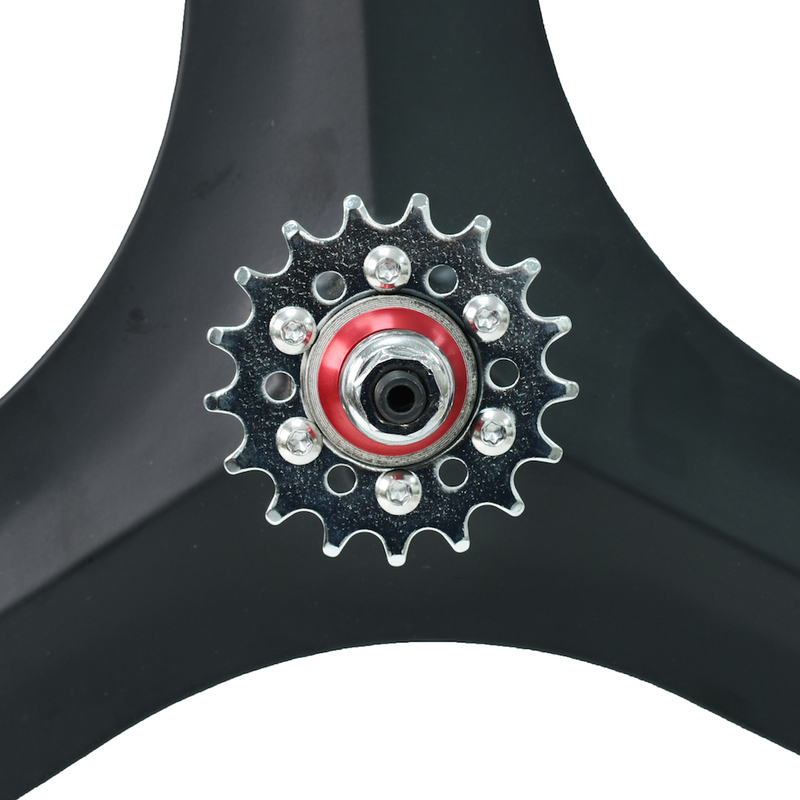 The rear wheel comes pre-fitted as a flip-flop hub consisting of a 17t fixed bolted on track cog and an 18t (removable) freewheel sprocket. 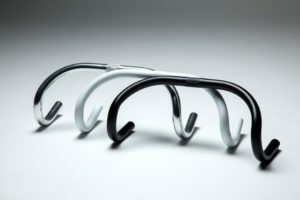 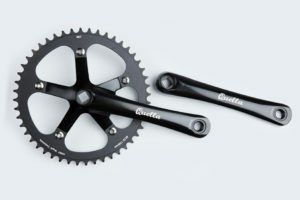 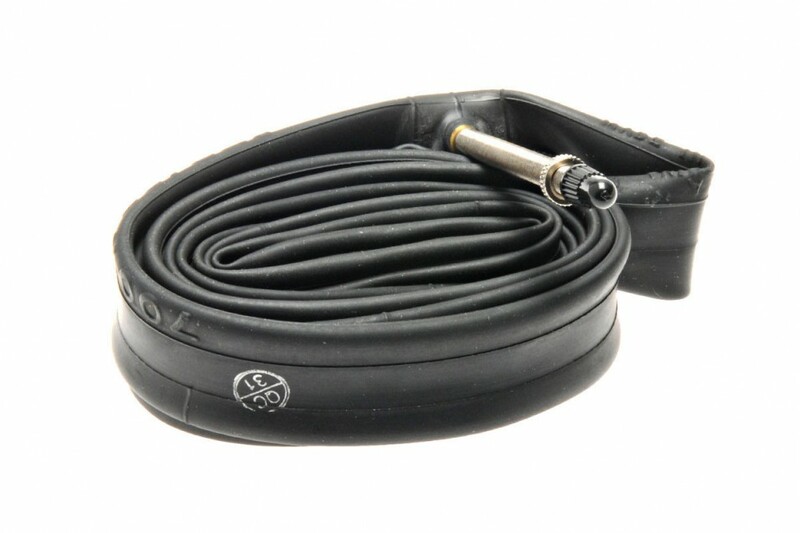 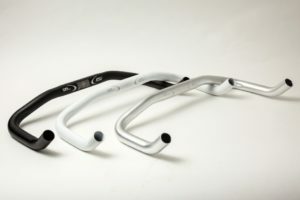 The wheels are compatible with 23, 25 or 28 tyres with a 60 or 80mm – valve inner tube.